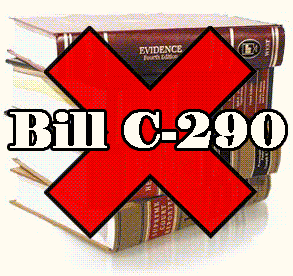 Bill C-290 gambling legislation which attempted to amend current laws in Canada. However, this bill failed in its hearing and never was enacted. The bill if passed would have amended Federal Criminal Code 207 which prohibits wagering on single-game events and only allows wagers to be placed on a minimum of three games. Bill C-290 would have amended the protocol to allow single-game wagering which would have opened the domestic sports gambling market to more bettors. Despite failing, many assume the bill will come back introduced under a new name. With the United States' recent lift on PASPA, a federal prohibition against wagering, sports gambling has popularized and swept the nation. 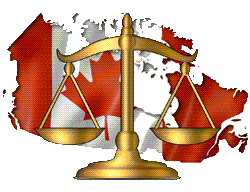 Canada, America’s neighbor to the North, may not want to miss out on valuable wagering dollars and may soon have even more motivation to amend their Criminal Code and legalize single-game sports gambling. Joe Comartin, a representative of the New Democratic Party (NDP) proposed Bill C-290 in Parliament. After which, the bill was quickly passed through the House in 2012 but died while in the Senate. Bill C-290 specifically detailed allowing persons or an entity licensed by a province to conduct and manage a lottery scheme that involves betting on single games or athlete which would have allowed provinces to pick and choose whether they would offer single-game sports wagering. While a popular decision for bettors with a perfect opt-out clause, the bill waited in the Senate for 3 years with no ruling before it officially came crashing down in the Federal Election of 2015. However, assumptions are that a similar bill allowing single-game wagering will be introduced in the new legislative year in Canada due to neighboring America’s recent rush to legalized single-game sports gambling. Who Supports Single Game Wagering? Within the NDP, members like Bill Blair, Tracey Ramsey, and Kennedy Stewart believe legalization would cut off organized crime related to wagering. This would be due to new legal sources and regulation standards in place through enacted legislation. Several Canadian lawmakers directly support legalized single-game sports gambling like NDP member, Brian Masse, who believes legalized single-game sports gambling would provide legal avenues for single-game wagering. However, Masse has been quoted to say without legislation doing such would create a “windfall for organized crime”. This is proven through a report with the Canadian Gaming Association which points out that $4 billion dollars are spent annually on single-game wagers through either licensed offshore sportsbooks or illegal bookies, as only $450 million are bet on domestic parlays annually. Therefore, there is a demand for single-game wagering in the domestic Canadian market. Clear internal opposition was heard during Bill C-290’s hearings as lawmakers became vocal about their stance on the bill. Senator Vern White expressed his opposition against single-game sports gambling and any expanded gambling forms while tying his point to organized criminal activity increase if legalized. The conservative Senator a likened Masse’s policy on legalized single-game sports wagering that “we would legalize cocaine and heroin, too”. Bill C-221 was introduced as a private member bill to represent C-290 after its loss in 2015. Bill C-221 would have repealed Criminal Code 207 just as its predecessor attempted. However, the bill introduced by the same member, Brian Masse, failed in its second hearing September 16, 2016. While this bill failed, many assume it is due to its clauses or introduction as a private member bill which often if introduced that way do not become law. With a few tweaks to its language and introduction method, any bill to legalize single-game sports wagering will surely pass as the demand is shown domestically and competition is just a border cross away. In the meantime, residents can enjoy licensed offshore online Canadian casinos to satisfy online gaming needs.